The lighting was not great, so I have tried to adjust them to improve the shots. 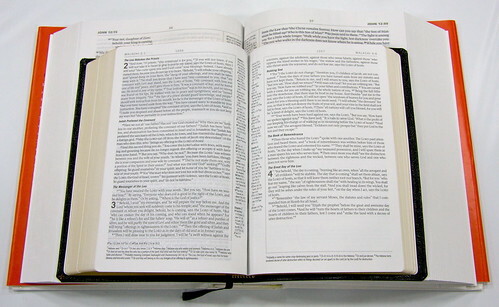 They took the book of John and bound it in the mock-up over and over until they achieved the same thickness of the final product. I asked about the creeds and confessions, and there is no plan to include them. 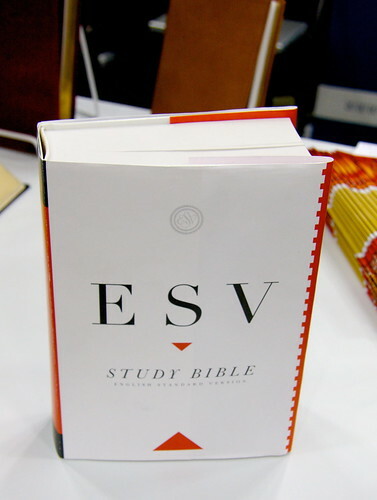 Yet, this seems poised to compete directly with the MacArthur Study Bible and even the Reformation SB. It seems like it will be quite conservative evangelical, and even reformed in leanings (at least) (based on the listing of scholars who have contributed notes for each book of the Bible - it reads like a who's who of conservative scholars). 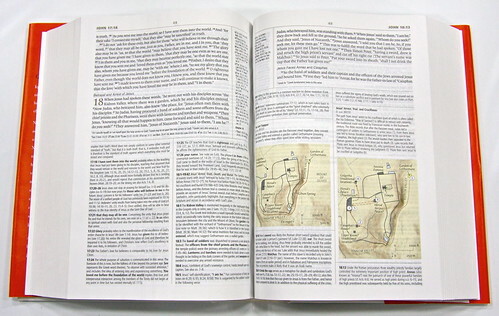 In addition to 25,000+ notes there are over 50 articles, 200 full color maps, over 200 charts, 80,000 cross references, over 40 full color illustrations (like of the temple, etc. )...but who's counting? 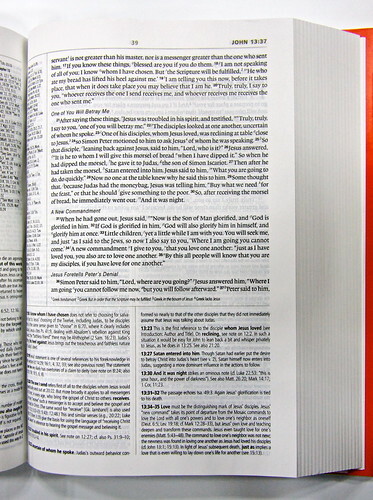 That last one, of course, is a comparison between the ESV Study Bible mock-up and the Personal Size Reference ESV. Remember, these are just photos of a mock-up, so they're not representative of the final product. Still, it's interesting to see what the upcoming hardback will look like.